While New Year’s Eve is celebrated in cities with parties at home, in bars and pubs, or in various resorts, in the countryside the night between the years is not as filled with traditions as Christmas and the days before it. However, the first day of the year marks the celebration of Saint Vasile – Sfantul Vasile. On this day children come caroling a carol called Sorcova, wishing people a rich, fruitful year. The agrarian carol Plugusorul (the little plough) is also sang in the first day of the year. Saint Vasile, or Saint Basil the Great, was the bishop of Caesarea Mazaca in Cappadocia, in modern-day Turkey. He is known as a saint protecting against evil spirits. He established asylums and hospitals for the poor, an establishment to help prostitutes. In the Greek tradition, he brings gifts to children every January 1. Saint Vasile is a name day for many Romanians. Overall, the outlook of the day of January 1 is considered telling of the entire year. Because the New Year is a time of renewal, the popular tradition argues that the year should be welcomed with good thoughts so that the entire year is a good one. People should avoid getting upset or arguing and be merry, so they will stay in the same spirits the entire year. A tradition is to pick up a tool on January 1 and work with it three times to progress with work throughout the year. 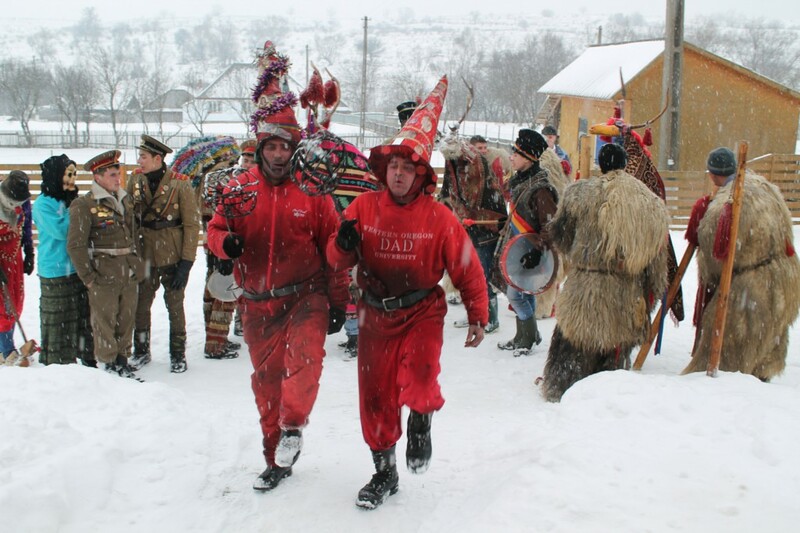 At the same time, one superstition argues that the way visitors coming on Saint Vasile are, either rich or poor, the same way the guest will be. Weather wise, the Saint Vasile day will determine the entire year. If it is really cold, it is a sign that the year that just stared will be a good one, and many marriages will be celebrated. 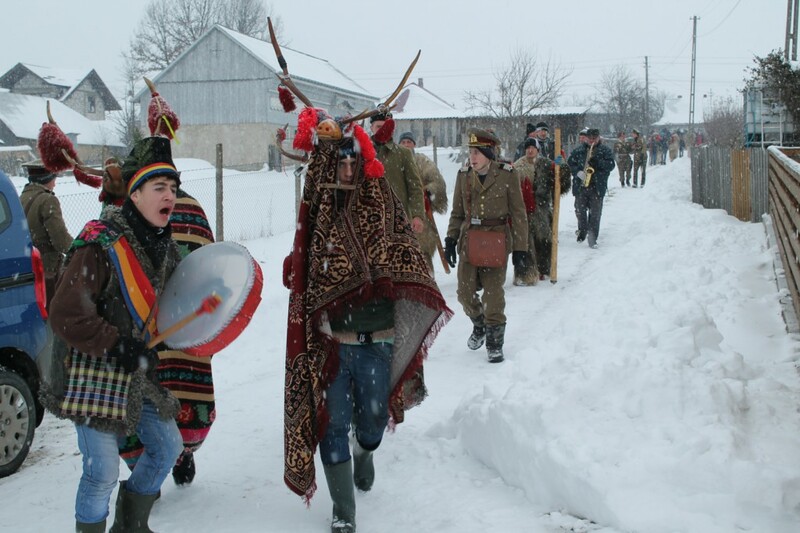 If it snows on Saint Vasile, the year will be a prosperous one, and if the weather is clear and freezing, people will be healthy throughout the year. 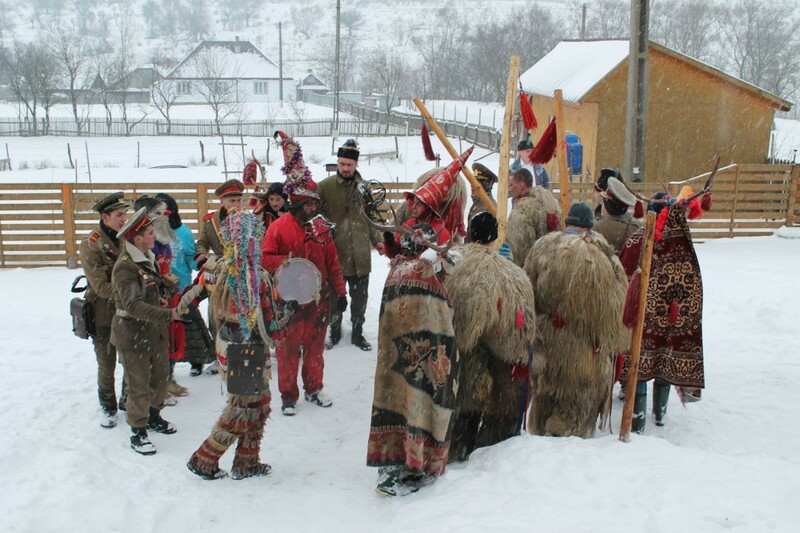 Both Sorcova and Plugusorul are sang on the first day of the year to wish health and prosperity. Children go caroling the Sorcova on this day, and the habit is spread throughout the country. The sorcova is a stick or twig decorated with flowers of different colors. 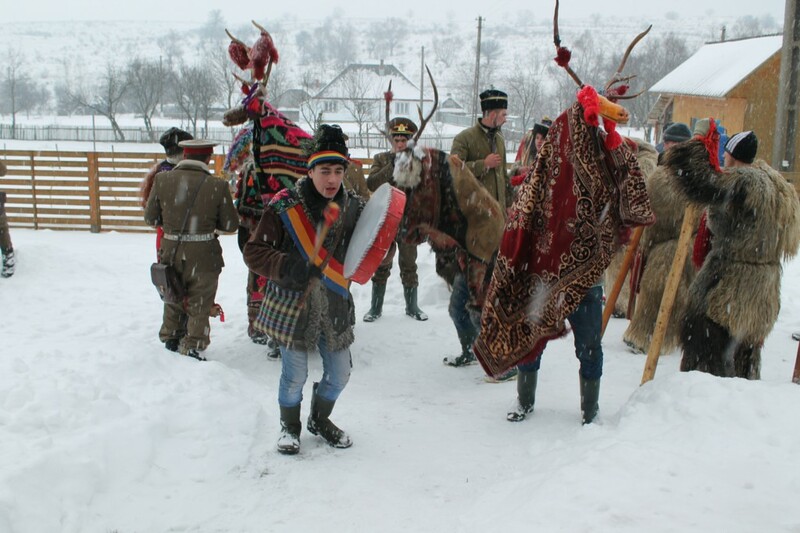 Children slightly hit their parents or acquaintances in the morning of January 1 with the sorcova, wishing them health and luck. Nowadays, the sorcova is made with artificial flowers, but it used to be made of twigs of apple, pear or plum trees, cut on the day of Saint Andrew (November 30) or on Saint Nicholas (December 6) and placed in water to sprout. After the caroling is over, the sorcova is kept throughout the year, either in an eastern corner of the house or in a clean place. The Plugusor is an agrarian carol with theatrical elements, celebrating the work performed for the daily bread. The plough is decorated with colored ribbons, and sometimes a Christmas tree. The carol is accompanied by the sound of bells, of an instrument called buhai, and by the bangs of whips, creating a noisy atmosphere. Traditionally, the group of carollers singing the Plugusor was made up of unmarried or recently married men. 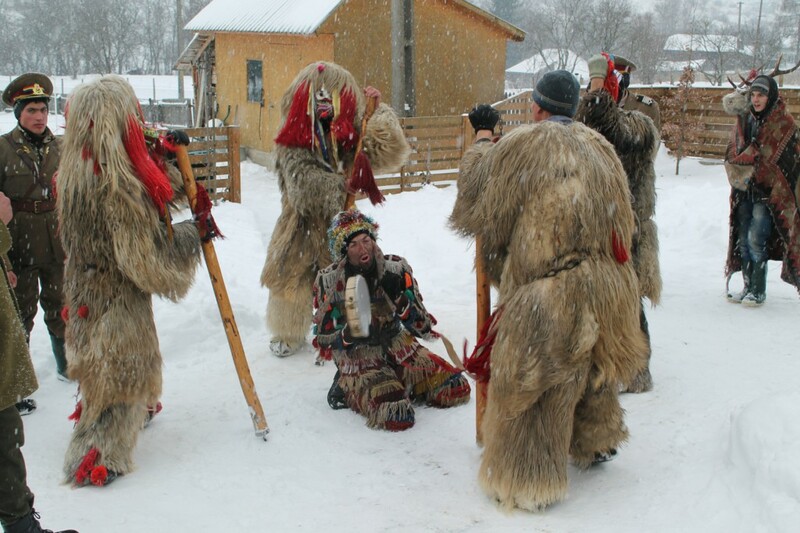 The tradition of the Plugusor is practiced not only in the countryside, but also in cities. In the days before the New Year or on January 1, city residents can expect to hear carolers going from one block of flats to another. In some parts of the country, the New Year starts with carolers dressed in special costumes and masks, performing a ritual dance meant to chase away the old, bad year.